Great thinkers, philosophers, and writers, such as William Butler Yeats, defined happiness as neither virtue nor pleasure but rather the goal of continually developing as a person. Buddha defined true happiness as a state of mind that exists at the juncture between pleasure and meaning. Merriam Webster defines happiness as a state of well-being and contentment. 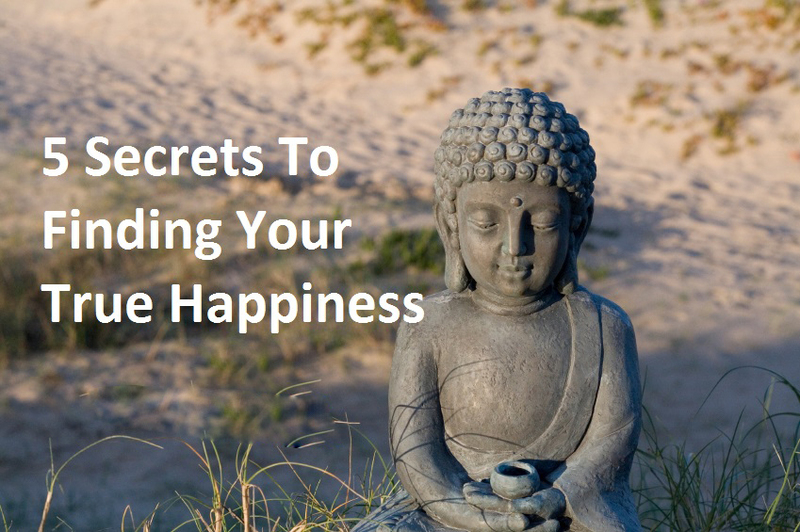 While recognizing the wisdom of the great thinkers of our time, it is more important to know how each of us defines happiness in our own lives. Often times individuals misconstrue the source of happiness, believing it is connected with pleasing insatiable desires and confusing the idea of wants and needs. 1. Know the difference between wants and needs. We may want many things in this world: a new car, better relationships, latest gadgets, more material items for our home, keeping up with what others have, giving into what others say or do and rushing after the next gratification to find that ever elusive state of happiness. Needs focus on developing a greater appreciation for life and what is necessary to live each day. A roof over ones’ head, clean water to drink, the love of family and friends, reflection on nature and small wonders. Know the difference. Ask yourself “is this a want or a need?” Letting go of “wants” and embracing “needs” can lead to contentment and happiness. 2. Follow your dreams to an inner state of happiness and satisfaction. This involves the continual process of positive growth as a person either emotionally, physically or intellectually. Are we just content to accept the standard procedure of our life as we drudge through the existence of each day? Or are we willing to step outside of the comfort zone and take on a new journey of mind, body and soul? 3. Self-love leads to inner peace. It is important to build self-esteem and seek out opportunities to develop positive connections to others. Purify your inner circle. Eliminate the nay sayers and the artificial people who tug at your self-worth and confidence. Learn to recognize the true blue friends, the cheerleaders, and believers who invest in your healthy journey. You can recognize these people by their sincerity and open mindedness. Do not allow your happiness to ride on others. Decide where your boundaries are and how far you will go to protect them. Say no with sincere confidence. Don’t get caught up in guilt trips or fear. 5. Accept that there will be bad days and unpleasant circumstances. At times we have to experience the sadness to appreciate the joy. Express gratitude for yourself. Realize that nothing is permanent. Tomorrow is another day. Happiness is truly an inside job.